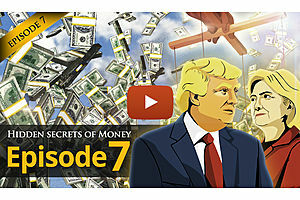 There are a few caveats that Mike wanted to go over for Episode 4 of Hidden Secrets Of Money...because there are some details he had to eliminate in order to present this episode in a reasonable timeframe and make sure that everybody could absorb it. 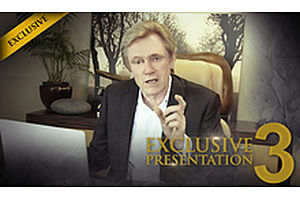 You are about to learn one of the biggest secrets in the history of the world...and learning it will change your life because it will change the choices that you make. 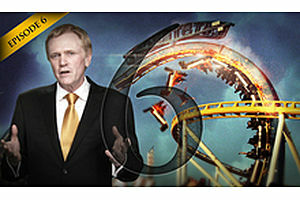 At a recent Casey Research event, Mike Maloney premiered the fourth episode of his 'Hidden Secrets Of Money' series. 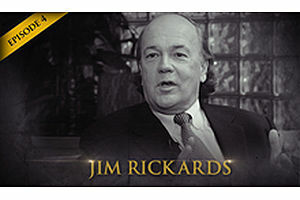 The first people to see it included luminaries such as Ron Paul, Doug Casey, Jim Rickards, John Mauldin, and long-term friend of Mike Maloney...Chris Martenson. You may have heard stories on the news lately that suggest an international move away from the US dollar is underway… but have you ever seen these events listed on a timeline? 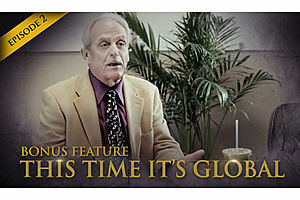 In Episode 3, you'll learn that the Dollar Standard is developing serious cracks, and will likely split at the seams during the coming decade. How will this affect you? 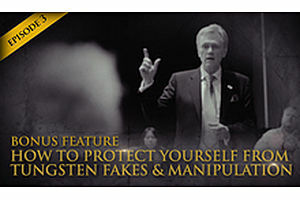 You may have heard reports of gold bars being hollowed out and filled with tungsten...as well as nefarious market manipulation. Get Mike's thoughts. 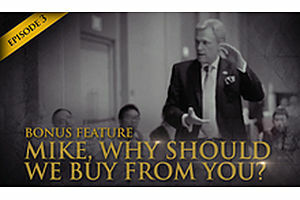 HSOM Episode 3 Bonus Feature: "Mike, Why Should We Buy From You?" 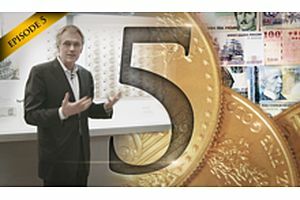 There are a number of reasons why GoldSilver.com has such loyal customers. Watch Mike in Singapore as he explains to the audience what drives him the most: helping people understand what is going on, and learning how to protect themselves. 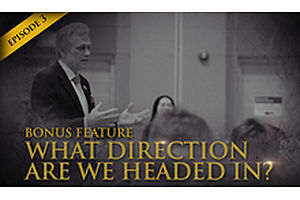 HSOM Episode 3 Bonus Feature: What Direction Are We Headed In? 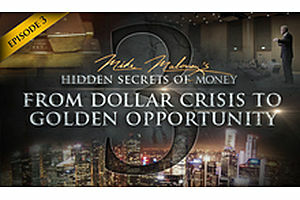 In 2007 Mike Maloney released his first book, which went on to be the world's #1 bestseller on precious metals. 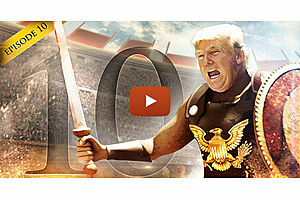 In the book, he gave some predictions and in this video he details what has happened since. 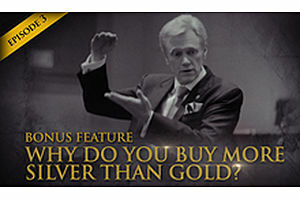 HSOM Episode 3 Bonus Feature: Why Does Mike Buy More Silver Than Gold? 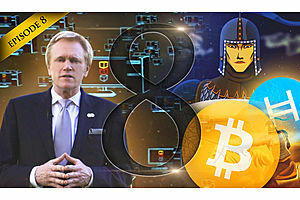 Mike Maloney has often stated that he sees silver as the greatest investment of all time. 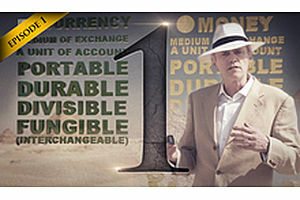 Learn why he buys more silver than gold in this video. 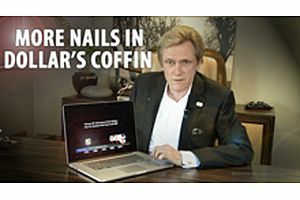 Join Mike Maloney in the office as he recaps Episode 3, as well as examining some of the latest nails in the dollar's coffin. 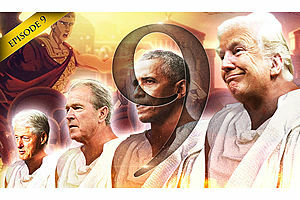 These events are becoming more serious, and point to an end to the dollar standard. 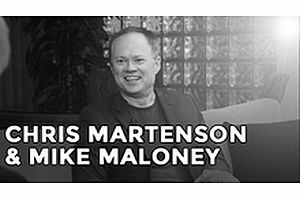 Mike Maloney and Richard Daughty take a light-hearted look at the way history repeats and how the Seven Stages Of Empire is playing out on a global scale right now. 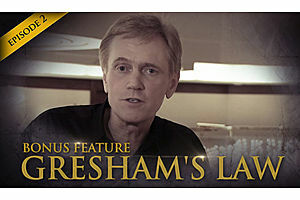 Gresham's Law was pointed out in Episode 2 in relation to US currency. 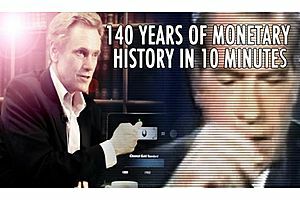 In this video, Mike issues a challenge to global viewers to review their own monetary history and see Gresham's Law at work. 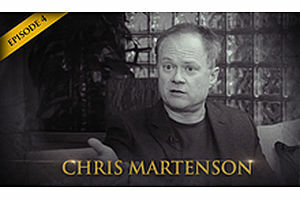 Mike Maloney on why he calls Athens's debasement the world's first hyperinflation. 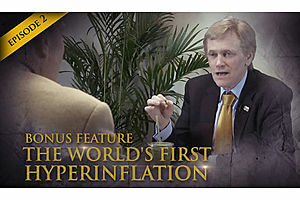 Richard Daughty adds his thoughts on inflation and how it affects the little guy, and how it all ties into the Seven Stages Of Empire. 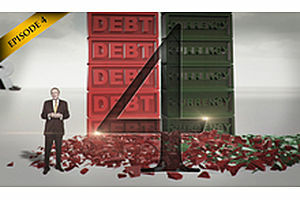 Are we overdue for a new monetary system? Is war good for an economy? Why did Nixon sever the link between all currencies and gold? HSOM Episode 2 Bonus Feature: Are You One in a Million Who Can Detect This Theft? In this deleted scene from HSOM Episode 2, Mike Maloney speaks with an Athens taxi driver, who explains that it is the public who are on the hook for the economic problems in Greece. 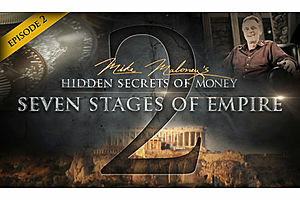 The journey continues, and this time Mike takes you to Greece to learn when, where, and why currency became money. 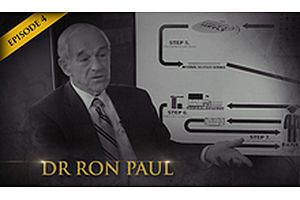 You'll also learn one of the most predictable long-term economic cycles: the Seven Stages Of Empire.